Sanho Unveils HyperJuice Plug – The World's First 15,600mAh Portable Battery Pack That Can Charge Two iPads Simultaneously. Features Retractable Wall Plug For Easy Recharging. Fremont, CA based Sanho Corporation, creators of the "Hyper"
7th-10th, in Hall 404 / Booth A2040. 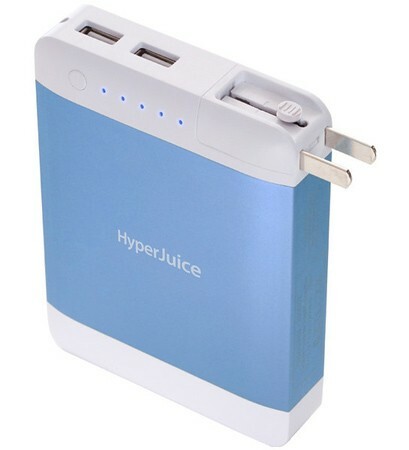 and virtually any USB device can utilize HyperJuice's power. hours for the new iPad). and can be purchased at http://www.hyperjuice.com/plug.